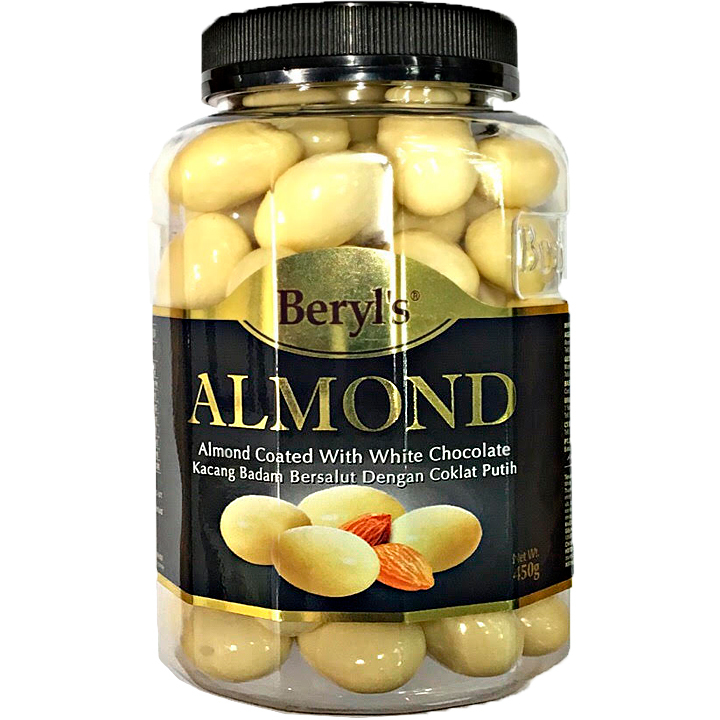 The product with a smooth soft shell from the bitter taste of white chocolate covered with almond kernel makes a good feeling when eating. Products suitable for all ages. Full cream milk powder lactose, cocoa butter, almond, sugar, vergertable fat, thickener, emulsifier (sofa lecithin e322), flavouring, glazing agent (e904), vanilla. May contain traces of orther nuts.